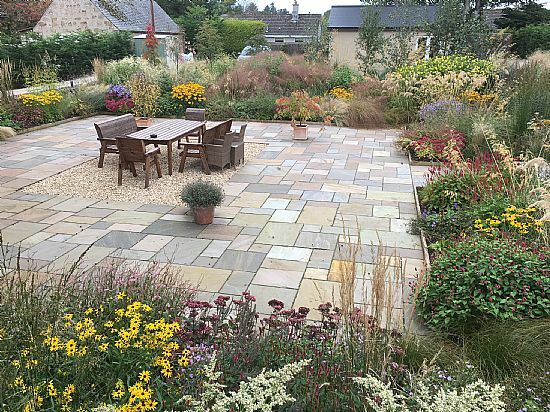 I offer a full garden design or border design service. 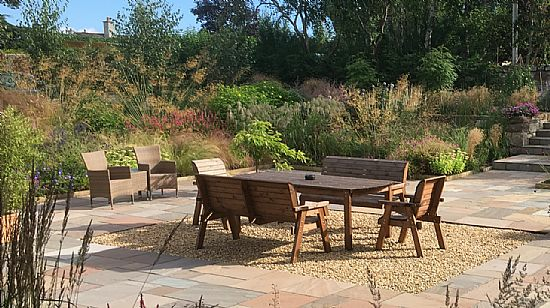 Though my preferred style follows the New Perennial movement, integrating grasses and perennials in a naturalistic way, I do take into account the preferred style of my clients and their gardening requirements. 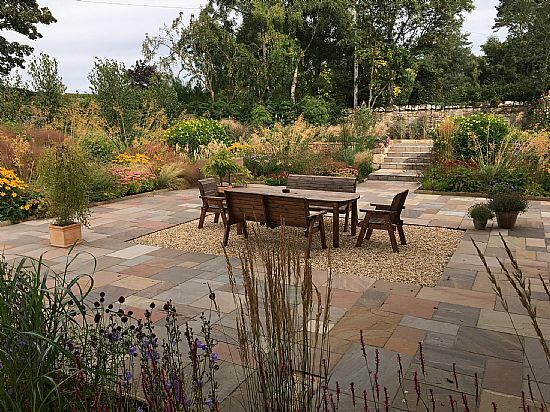 I have undertaken a number of commissions over the years but one of the most recent was for a new Bed and Breakfast business in Dornoch, Fionn Lodge. 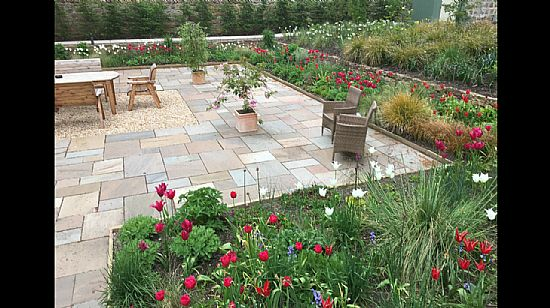 The owners asked me to design and plant the borders in their newly rebuilt garden. 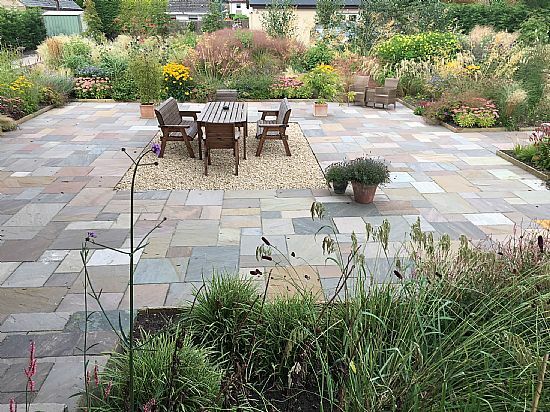 The brief was for an easy to maintain garden that would look good throughout the year. 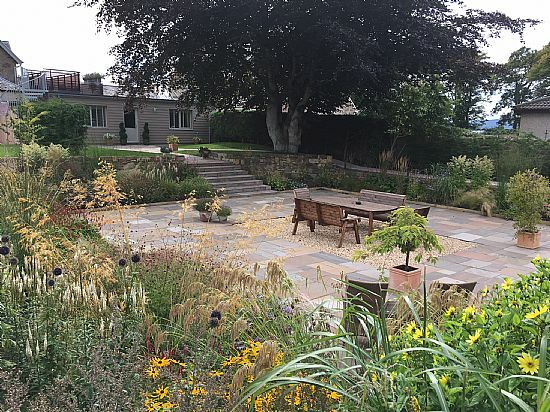 As the B&B accommodation was to be accessed through the garden, and the garden would also be available for the guests' use, it was important that the garden reflected the Highland situation of the B&B and offered a pleasant place for relaxation. The following photographs give an indication of the design and how it has developed. 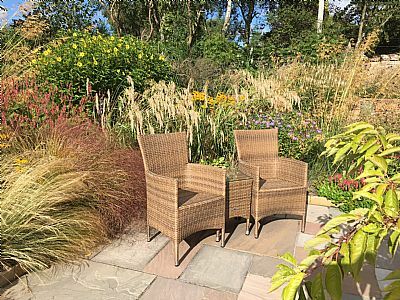 Primarily the garden is planted with grasses and perennials, with bulbs used to give interest during the spring and early summer. 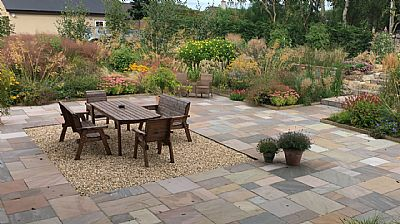 Many of the plants were provided by the Nursery, but others were sourced from reliable suppliers.